Arles is a city of Provence in France situated on the east bank of the Rhone upon a very uneven ground and almost surrounded by a morass which renders the air unhealthful. (..) There is no city in France so remarkable for antiquities as Arles, insomuch that it is generally called a second Rome. 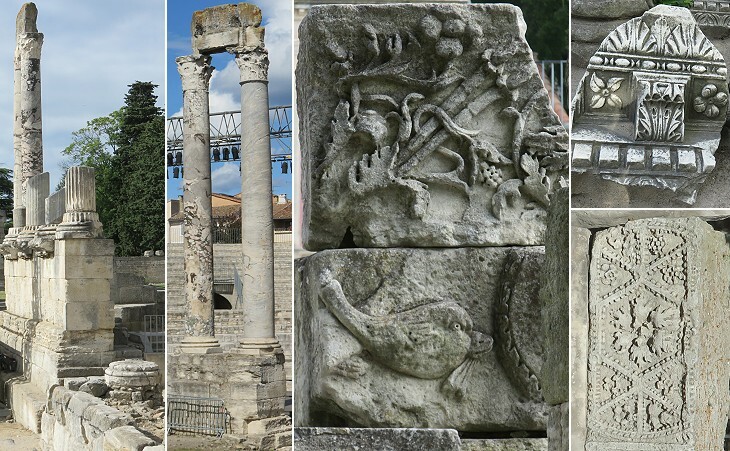 We are just returned from an excursion from Nimes to Arles, where the beauties of situation, and numerous remains of antiquity, made us ample amends for our fatigues. 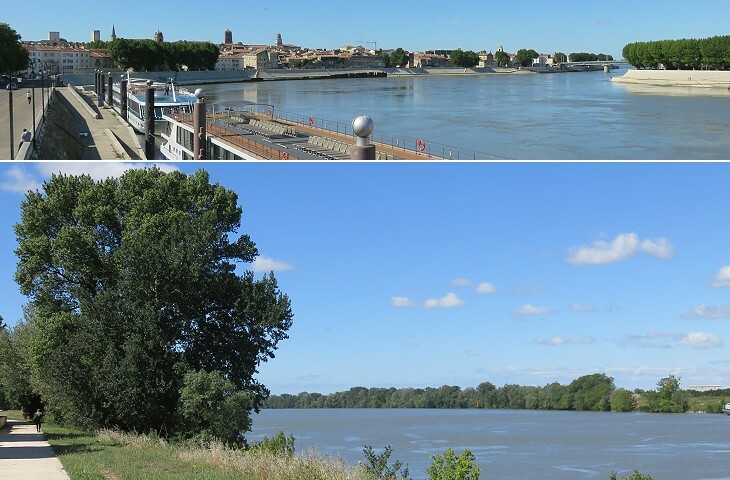 (..) We ferried over a branch of the Rhône into the island of the Camargue and then passed by a bridge of boats into Arles, which rises nobly from the water edge up a gentle acclivity. 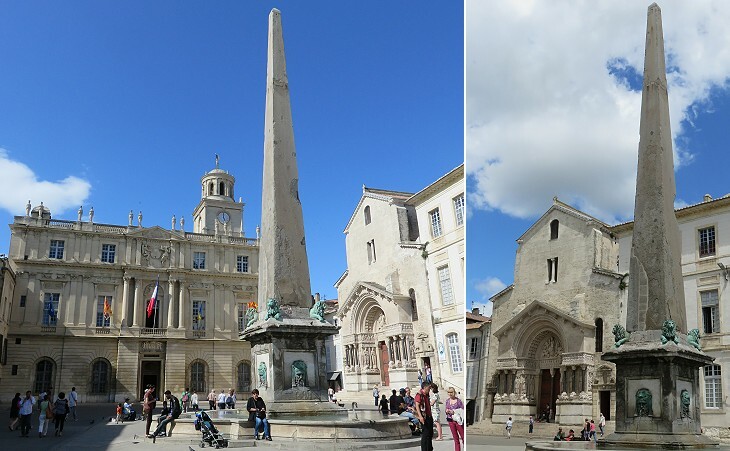 Arles, Roman and Romanesque Monuments: Arles is a good example of the adaptation of an ancient city to medieval European civilization. 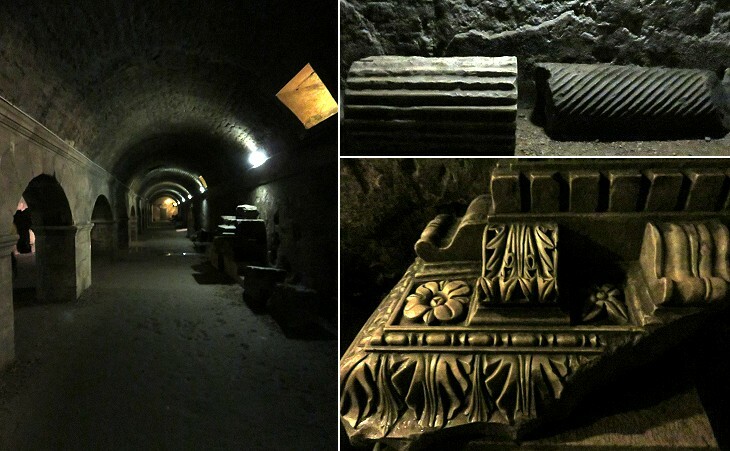 It has some impressive Roman monuments, of which the earliest - the arena, the Roman theatre and the cryptoporticus (subterranean galleries) - date back to the 1st century B.C. 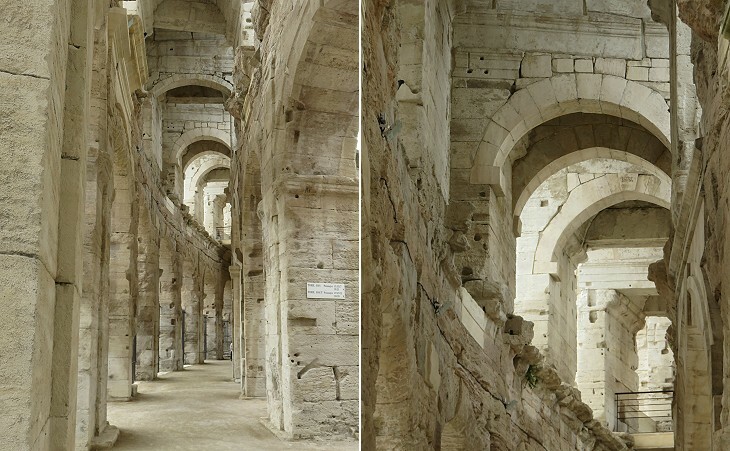 During the 4th century Arles experienced a second golden age, as attested by the baths of Constantine and the necropolis of Alyscamps. 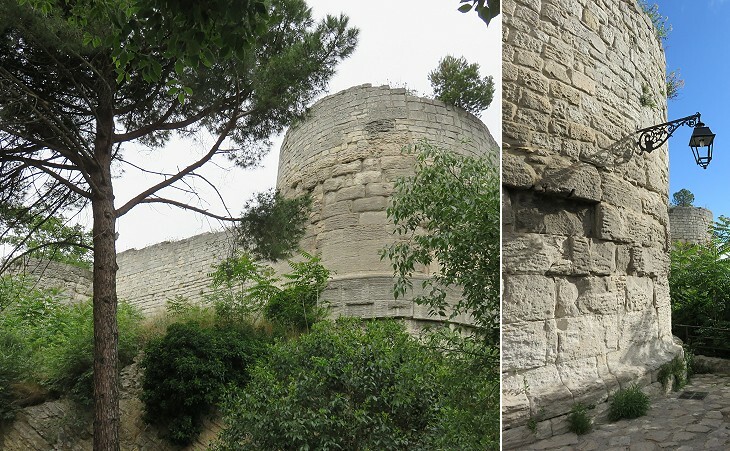 In the 11th and 12th centuries, Arles once again became one of the most attractive cities in the Mediterranean. 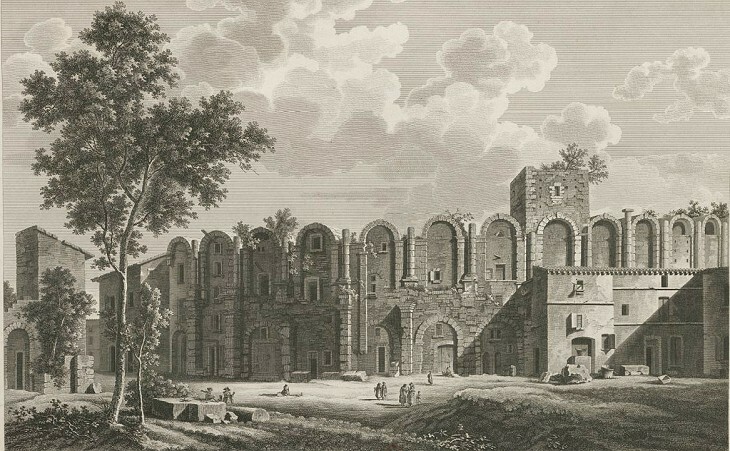 Within the city walls, Saint-Trophime, with its cloister, is one of Provence's major Romanesque monuments. From the UNESCO description of the town which was inscribed in the World Heritage List in 1981. A settlement existed on the hill on the left bank of the Grand Rhône as early as the VIth century BC. The opportunities it offered for trade attracted Greek merchants, similar to what occurred at Avignon. In ca 400 BC it became a possession of the Salyes or Salluvii, a powerful Gallic tribe. 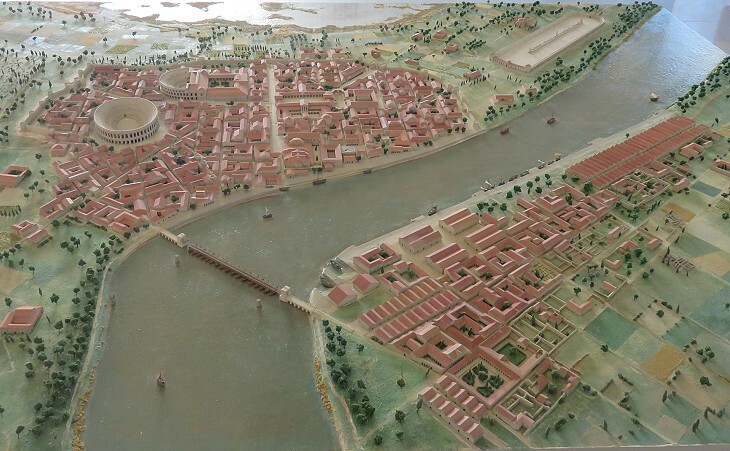 After the Roman conquest of the region Arles was initially a minor town under the hegemony of Marseille. During the civil war between Pompey and Caesar, Marseille stood with the former, whereas Arles provided Caesar with much needed ships (Naves longas Arelate numero XII facere instituit - I ordered the construction of 12 ships at Arelate - wrote Caesar in De Bello Gallico). The town was rewarded with the status of Roman colony. This status was confirmed by Octavian (Emperor Augustus) who most likely visited Arles in 40 BC and named it Colonia Julia Paterna Arelate Sextanorum, i.e. Colony of my Father Julius Arelate of the Sixth Legion (veterans). The access to the town via a branch of Via Aurelia was marked by an imposing gate. 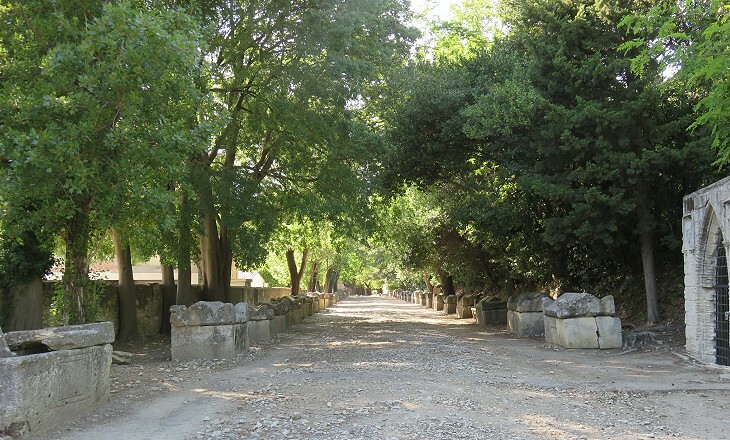 It was closed during the Middle Ages and in the late XVIIIth century the level of the ground before it was lowered to make room for a new road, so that today it is more similar to a defensive bastion, than to a gate. The stranger who succeeds in threading its labyrinth of dirty narrow streets, more intricate than any other perhaps in France, will be duly rewarded if he takes an interest in antiquities. 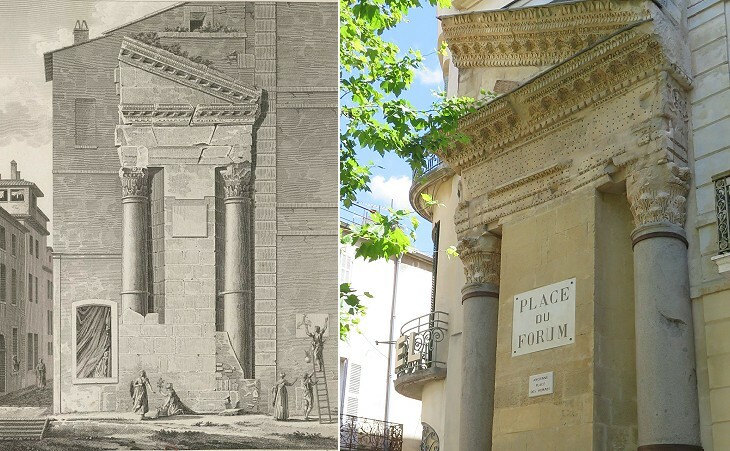 (..) Besides the more important Roman remains there are within the town in the Place du Forum two granite pillars and part of a Corinthian pediment let into the wall in front of the Hotel du Nord; they are supposed to have been moved from some building now destroyed into their present position. The Forum was first built at the time of Augustus, but the two columns and the lintel are dated between the rule of the Flavian Emperors and that of Hadrian. The inscription was added at a later time and today, although the interpretation by Jean-François Séguier, a French epigraphist (1703-1784), is no longer regarded as accurate, it is still thought to refer to Emperor Constantine or to his son Constantine II. The Forum was built on the slope of the hill and in order to obtain a level square its porticoes stood on galleries which were in part below ground and in part above. Their existence was known already in the XVIIIth century and this led to some imaginative theories about their purpose as that reported by Nugent, but their grid and dimensions were fully understood only after excavations were carried out in 1908-1940. The completion of the theatre is dated ca 12 BC; its construction might have been favoured by Marcus Vipsanius Agrippa, son-in-law of Augustus, who, when governor of Gaul, promoted many initiatives to embellish and economically develop the towns of the region, including the opening of new roads. The excavations began in 1822 and continued for most of the XIXth century. In 2010 the theatre was provided with modern equipment so that it could be used for different types of shows, including a film festival of peplum movies. 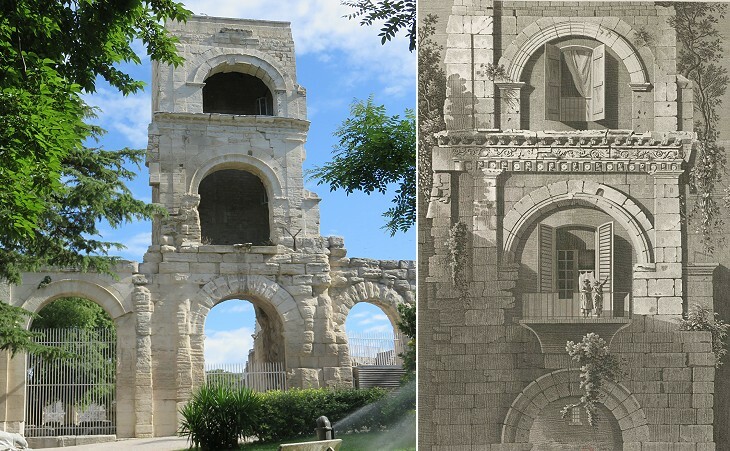 A small section of the outer ring of the theatre was incorporated into a tower of the medieval walls of Arles. Its height allows an assessment of the full size of the seating section: it had 33 rows and could house some 10,000 spectators. The tower was named after Roland, one of the twelve peers of Charlemagne's court, but the reference is a mere fantasy (similar to what occurred to a broken column in Rome). The outer ring was decorated with finely carved reliefs based on metopes and triglyphs and acanthus scrolls. 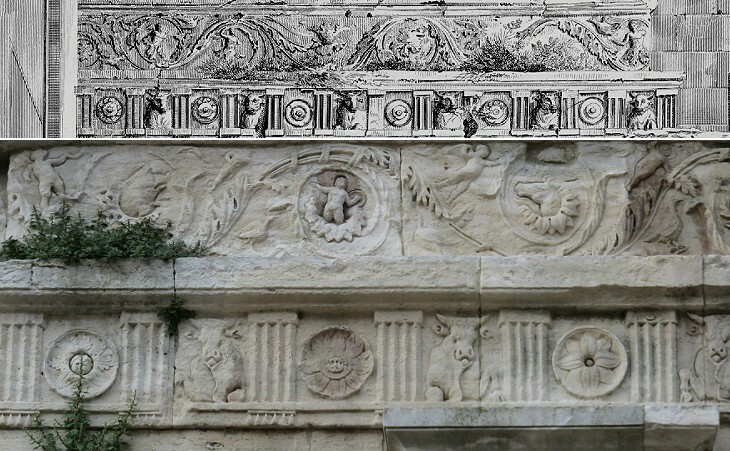 These classic motifs were made more lively by the addition of birds, horses and cupids in the scrolls (see an example in Rome) and by depicting bulls in different postures in the metopes. These details puzzled Laborde and still call the attention of art historians who are surprised to find such a rich and innovative decoration in a provincial town. 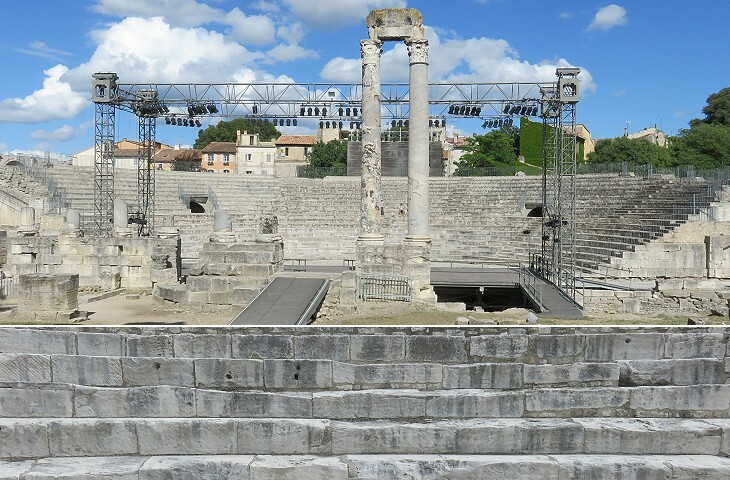 You may wish to see the Theatre of Orange, the best preserved Roman theatre of France. Today the construction of the amphitheatre is credited to Emperor Domitian. The design of the building follows the pattern established with Colosseo. The availability of a white stone which resembles travertine increases the similarity between the two buildings. Bullfights were reintroduced at Arles in the late XIXth century. 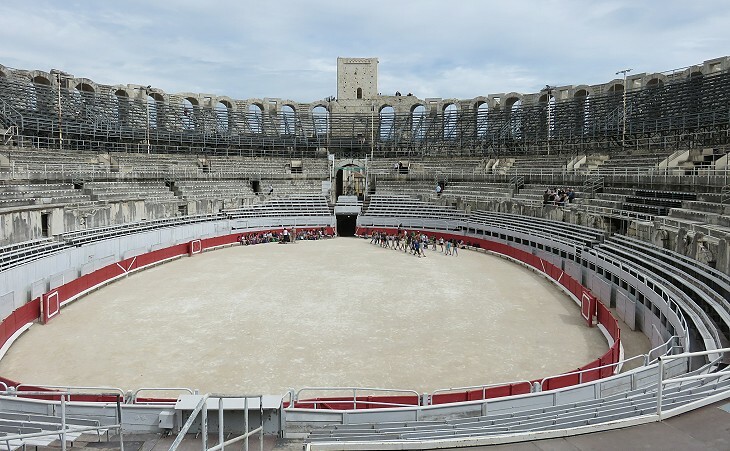 Today corridas are held in the Amphitheatre during the Holy Week and in September during Féria du Riz, the festival of the rice harvest, the main crop of Camargue, a once marshy region south of Arles. 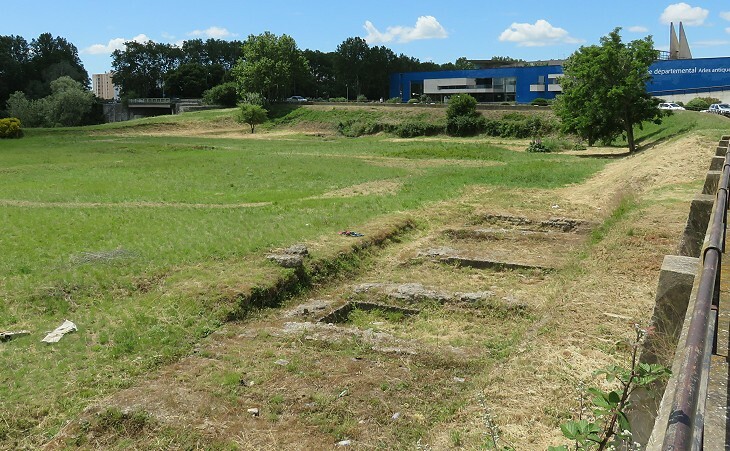 In 1974-1989 excavations near the river bank for the construction of a highway unearthed the site of the Circus of Arles which was built in 150 AD during the reign of Emperor Antoninus Pius. Only a limited part of the foundations are visible. Archaeologists identified the location of twelve carceres, the starting boxes of the chariots. This means that the circus could house a certamen ternarum, a race with three chariots per each of the four competing factions, similar to what occurred at the Circus Maximus of Rome. Reliefs at the museum depict chariot races and a horse for races, but you may wish to see also a beautiful mosaic at Lyon which shows an actual race and the carceres. With the establishment of the Tetrarchy by Diocletian Rome ceased to be the residence of the emperors. Constantius Chlorus, Tetrarch in charge of Britain, Gaul, Germany and Iberia, set his residence at Trier, near the Rhine border. 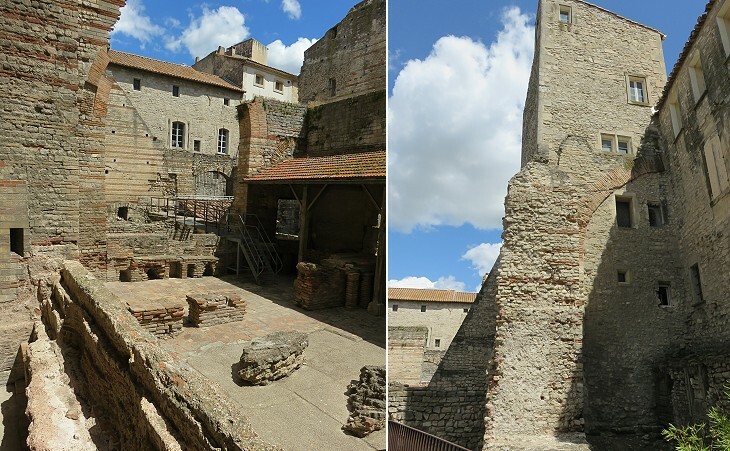 His son Constantine, in the troubled period which followed Diocletian's abdication, moved the treasury and part of his court from Trier to Arles in 308 and, when not leading his army, he resided there until 312. 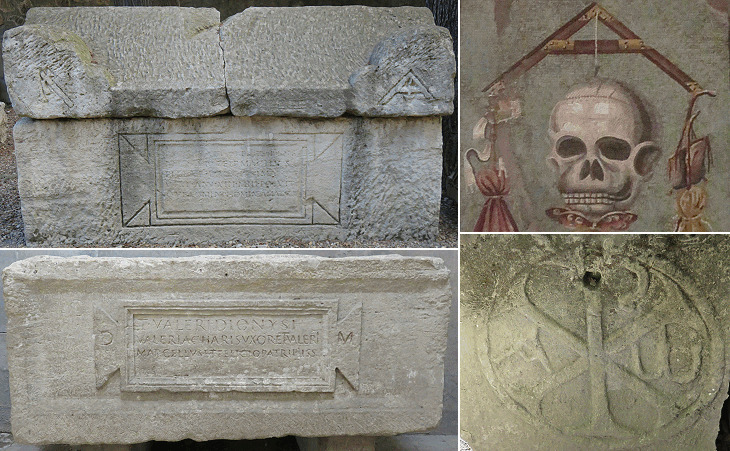 Archaeologists have identified two other bath establishments in addition to the Baths of Constantine. The construction technique which was employed in this building is known as opus listatum; it alternates layers of bricks and of stones with a decorative effect which had an influence on many later buildings, both Christian (e.g. the Cathedral of Orvieto) and Islamic ones (e.g. Hadith Medrese at Edirne). 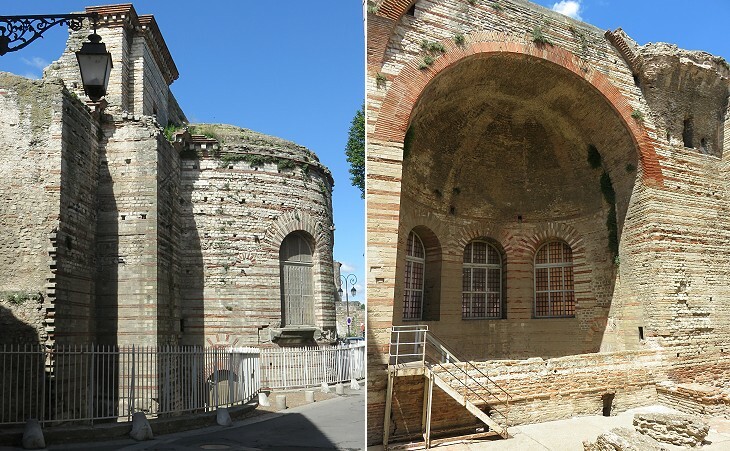 The Walls of Constantinople and the Aqueduct of Los Milagros at Merida are characterized by opus listatum. You may wish to see some medieval churches and chapels at Alyscamps. 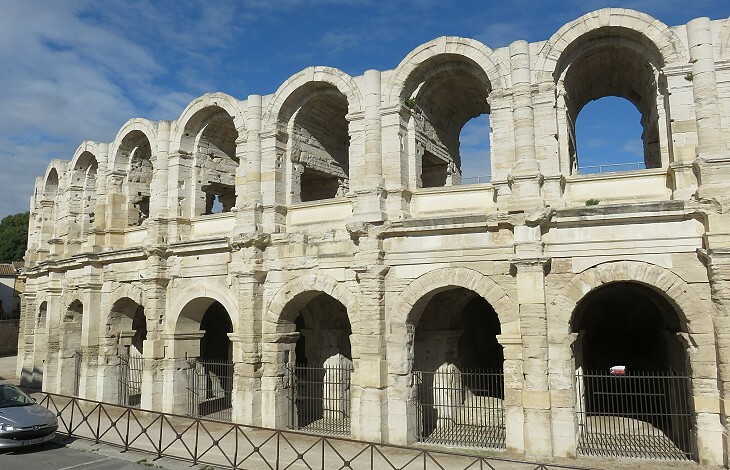 Move to Museum of Ancient Arles or to Medieval Arles.